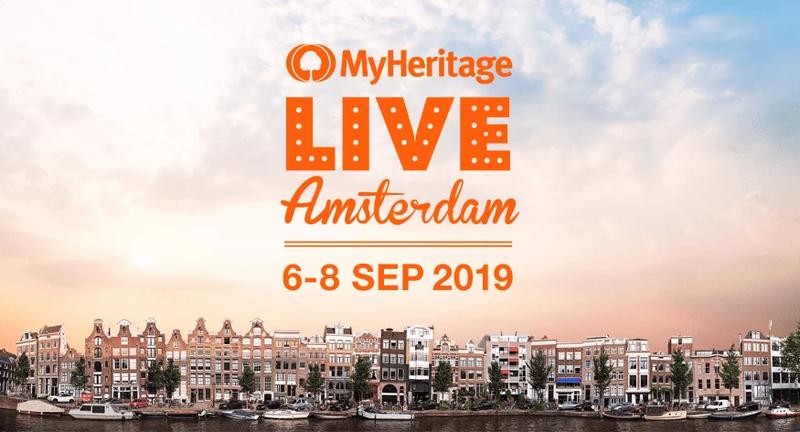 The second MyHeritage user conference, MyHeritage LIVE 2019, is just announced to take place on 6-8 September, 2019 in Amsterdam, Netherlands. While the speakers are not yet announced you can be sure there will be a host of internationally renowned genealogy and DNA experts. The venue is the historic Amsterdm Hilton located south of central Amsterdam, near the museum district. There's a special rate for guests who choose to stay at the hotel.